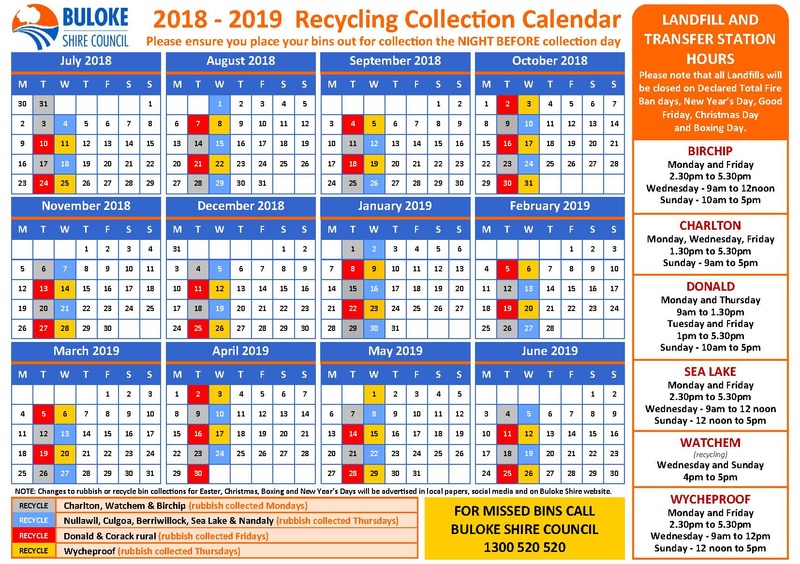 Council is pleased to release its new ‘2018 -2019 Recycling Calendar’ with an easy to read format. Council encourages all residents to recycle their rubbish, with recycling collections being carried out on a fortnightly basis throughout the municipality. 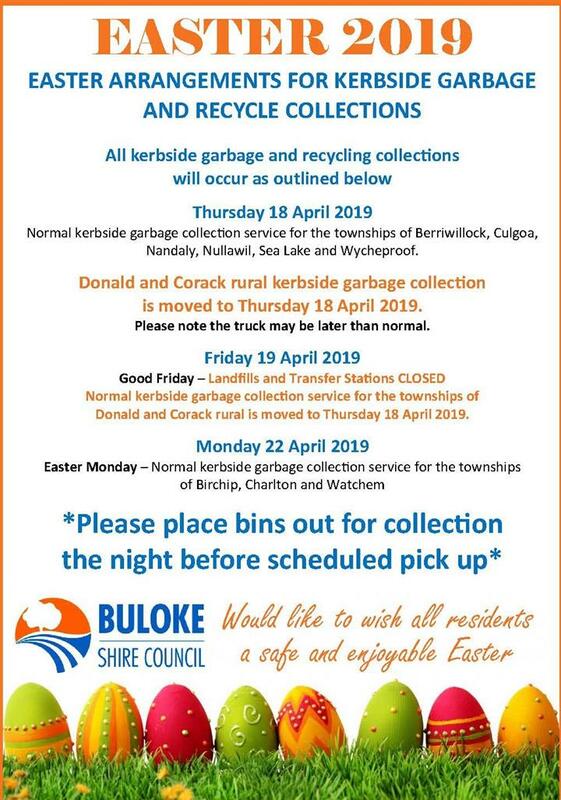 Buloke residents are also given the option to take their own recycle bins to the landfill, with no charges being incurred.